Cross, cross, cross, and cross. And more cross. Time flies - it is August already! Time for cyclocrossers to come out of hibernation. Fat tire lovers, gravel lovers, beer, and bacon lovers. A fun, social bunch, who play hard, and party just as hard. Are you curious to find out what it's all about? Everyone is welcome at our GSX cyclocross clinic. Where: W37th Ave & Kersland Dr.
We are happy to announce that the GSX Kit Store is now open! Jump on, and grab yourself some sprinkles. They go well with donuts, so come on down to some of the races to support (and by that we mean heckle) the Glotman Simpson Cyclocross Group! For additional practice, you will find members of the GSX team attending the Wednesday Night CX Practice sessions, every - you guessed it - Wednesday Night! 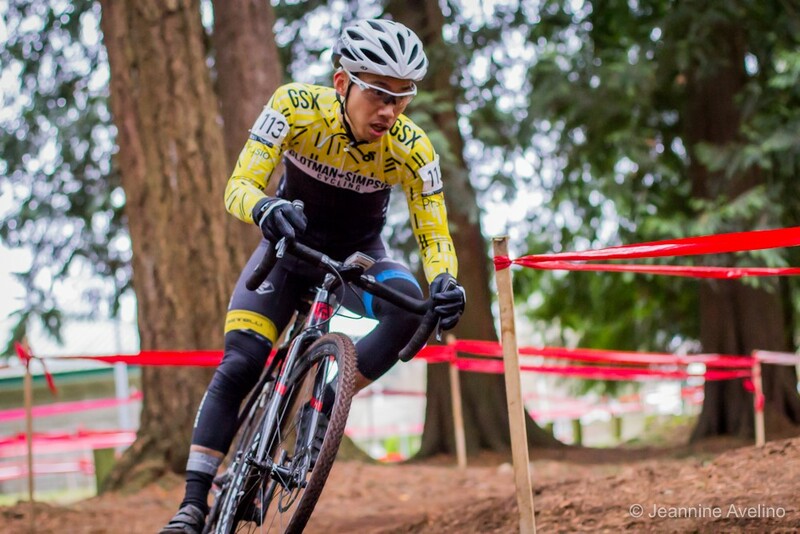 Starting at 5PM, at the same location as the cyclocross clinic, and hosted by none other than James Birkenbuel, distinguished member of the Vancouver Cyclocross Coalition. James kindly donates his time to host these sessions, in an effort to promote the sport. If you are not averse to social media, feel free to join the WNCXP Facebook Group, as the location will change on occasion. Teams are coming out of the woodwork and registering for the Team Challenge. In the second week of July, as the temperatures rise in Vancouver, the local racing scene also turns up the heat. BC Superweek is a series of nine races over the course of ten days, all located in the lower mainland. This event has become one of the most prestigious pro-cycling events in North America with over $140,000 in prize money up for grabs. Unlike many pro-cycling events, BC Superweek also offers equal purse for men and women, including $12,000 for the Gastown Grand Prix first place finisher. This event brings out massive numbers for the women’s fields and some of the best pro-female cyclist in North America. This year’s team consisted of a variety of experienced riders. BC Superweek veterans Emma Lujan and Janna Gillick were able to give myself, Krista Matthews, Madeline Spangehl and Sonia Taylor many words of wisdom. We each took on the week with different goals and expectations. Emma spent most of 2018 racing against pros in America and was looking to dust up her pack skills and gain a few good results. Janna, one of the most competitive crit racers in BC was also hunting for some good results, including an elusive finish at the challenging Gastown GP. Sonia who tested her legs in Superweek last year was working to improve on positioning and technical skills. As Superweek first timers Madeline and I looked to simply take it all in. The racing kicked off with the Delta and Ladner crits. Janna and Emma took on the fast and furious opening weekend which set the tone for the rest of the week. The Delta Road Race had all five GS women and a guest rider Kat Innes (from local team Mighty Riders) line up at the start line. The highlight for the team was Emma’s bold solo move that had her off the front of the race for almost 40km. Not only did Emma receive some well-earned TV coverage, but she was also recognized by the rest of the peloton once finally being captured by the pack. Madeline and Sonia worked hard on strategic positioning throughout the race and I was thrilled joining Janna and Emma in finishing the race. Next up was the iconic Gastown Grand Prix, a race that throws everything but the kitchen sink at you. With 30,000 spectators, dodgy road conditions and a massive cash prize the hype is definitely worthy. After the first half of the race only about 30 women (out of 90) were left in the race. Although myself, Madeline and Sonia would have liked to finish the race, we were also happy smashing burritos and cheering on Emma and Janna from the sidelines. After a couple years of “figuring out” this race, Janna raced hard and smart and set herself up for an epic finish, contesting the sprint and landing her in 9th. This race is known for an explosive start and aggressive nature and this year certainly lived up the expectation. Sonia, Janna and Emma continued racing the remainder of the week competing in the Giro di Burnaby and Poco Grand Prix, while Madeline and I tempered ourselves for the final weekend at Tour de White Rock. Tour de White Rock wrapped up the week by turning the heat and elevation upward. After a week of racing relatively flat and fast courses, both myself and Emma were frothing at the mouth for a little uphill. Emma gave the group a glimpse of her climbing prowess at the Crit by collecting a Prime and finishing in 11th. The steep climbs of the final road race were deadly and selective. The spectators in feed zone was a highlight for those of us racing and anyone cheering. Emma was able to pull through with an 8th place finish. Myself and Janna worked our strengths to place in the top 25. An overarching theme from the week of racing was the spectacular support from coaches, teammates, volunteers and club members. Our spread at Tour de White Rock was so impressive that a soigneur from one of the largest pro teams asked us if we could help feed his team! This highlights how far, above and beyond, our team and volunteers went to support the race team. Lessons were learned, matches burned, countless gels were eaten and the Glotman team wrapped up another successful BC Superweek. Until next year!